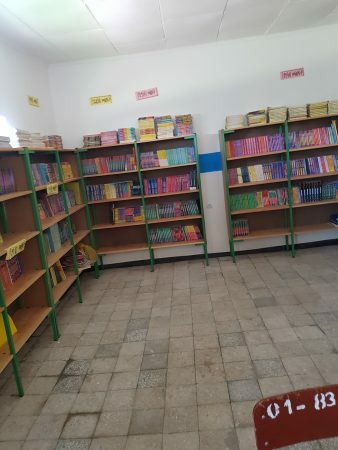 In 2012 a library with study rooms was built for the children in the two highest classes of the secondary school in Mezezo. 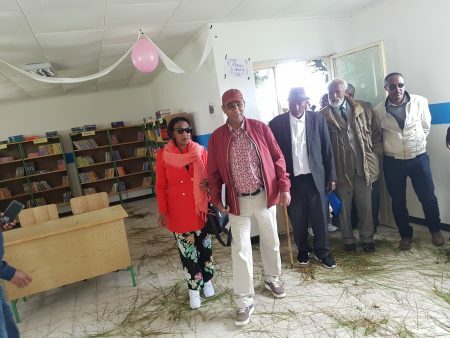 In this library, 500 children are now studying every day. 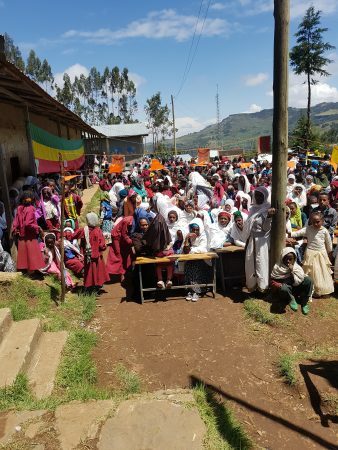 Based on these positive results, the plan was created to also build a library for primary school children. 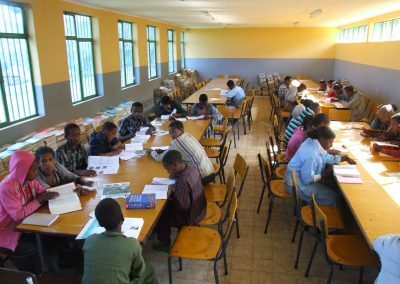 A place where they can sit quietly to do some homework or to read. 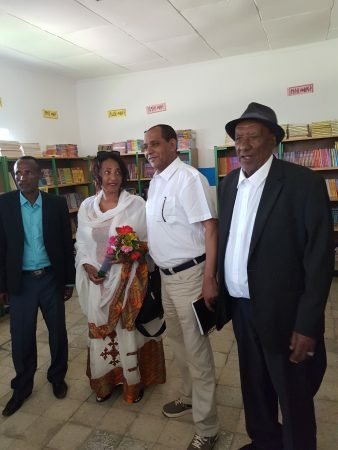 The libraries for the primary schools of Mezezo and Kobastil are now ready. 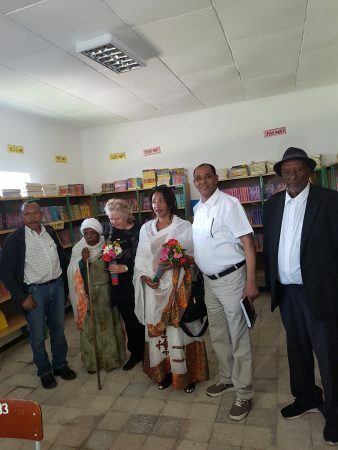 Thanks to Wilde Ganzen, other donors and funds, Mezezo and Kobastil now have a library with books, tables, chairs and cupboards. 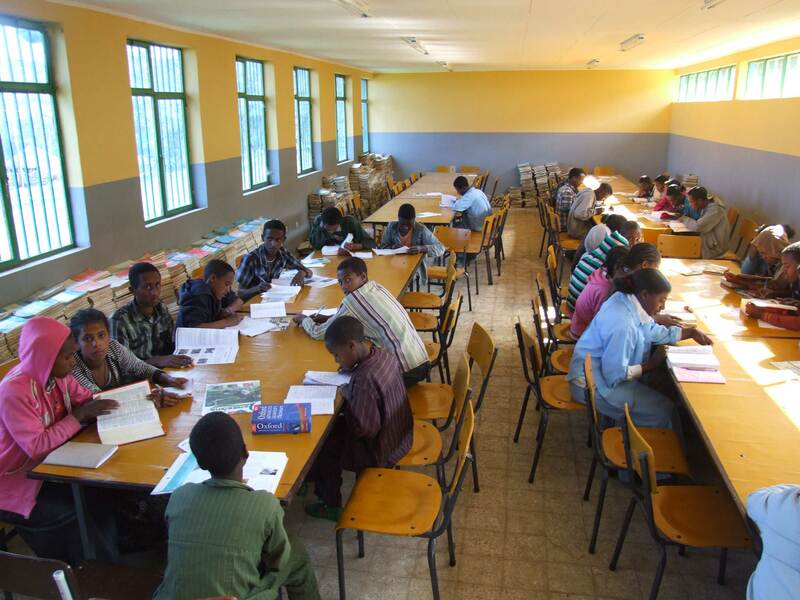 The first project was the construction of the school library in collaboration with Partners in the Horn of Africa in 2012. 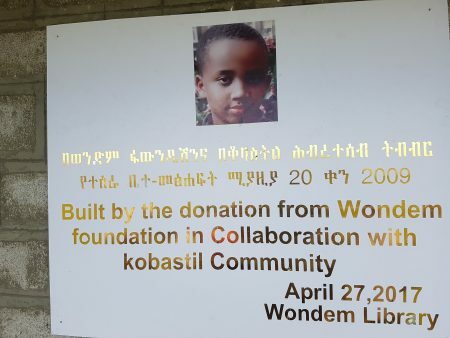 Wondem Foundation in collaboration with its partner furnished the library with 1,280 books. 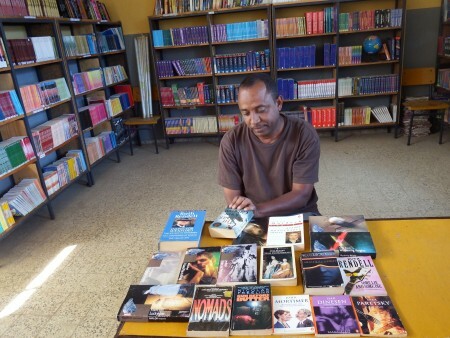 The school library is open 7 days a week and an average of 500 students use it daily. As much as 72% of the students has passed the Cito test of 2013. 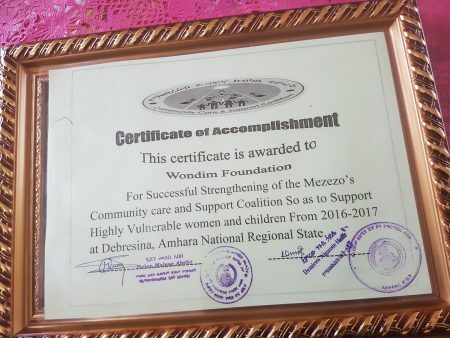 Wondem Foundation has together with its partners two practical training rooms built, because there was strong need for. One for physics and one for chemistry and biology. 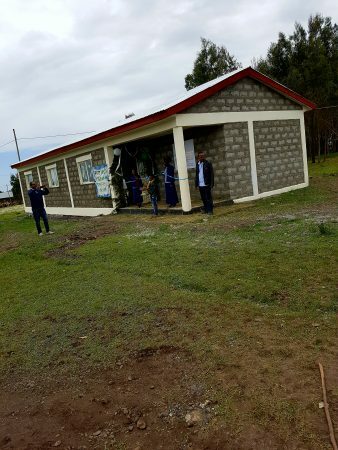 In may 2013, these classrooms were completed and Mr Zerfu has officially opened them at the end of July. The classrooms are built in the same style as the library. Because of this the costs were modest. 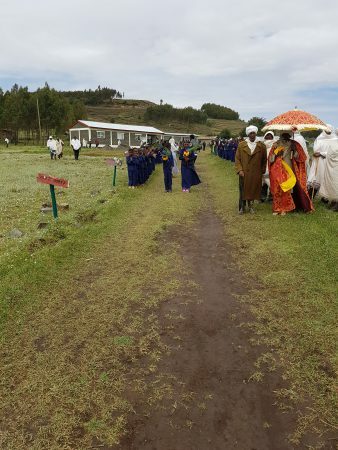 The construction is carried out with local commitment. 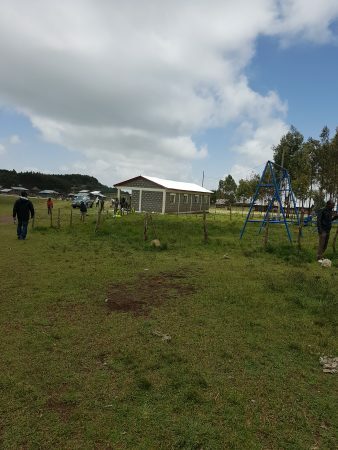 By these two classrooms the school is able to give practical lessons to its students. Thus physics, biology and chemistry experiments can actually be carried out instead of just to be explained on the board.